This book documents a legendary bet in the early 80’s between two successful commodity traders, Richard Dennis and William Eckhardt. The bet was over whether trading could be taught or whether it comes naturally. Richard Dennis was willing to stake his own money on proving that trading could be taught so he set up an experiment called ‘the Turtles’ to prove the case. After selecting 13 applicants, Richard Dennis spent two weeks teaching these students his trading methodology before letting them loose on the markets to trade his money. The book is written by the most successful of the 13 Turtle Traders, Curtis Faith. Curtis details what Richard Dennis taught them in those two weeks. I think this book is very well written as Curtis simplifies complex trading concepts. As Richard Dennis’s investment philosophy revolves around trend following, Curtis spends a lot of time discussing price action and technical tools. You may want to skim over a few chapters in this book that go into quite a lot of detail on how to back test a trading system. 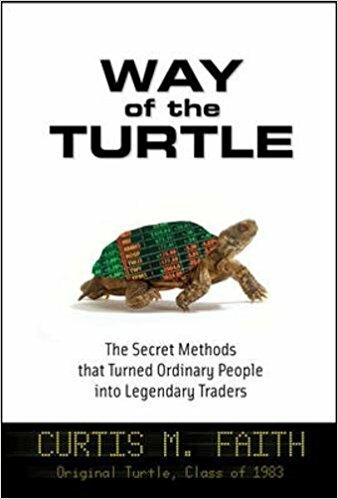 This is a book that gives readers detailed step by step instructions on how to make money following the Turtle trading methodology and ironically as Richard Dennis himself said, “ I always say that you could publish my trading rules in the newspaper and no one would follow them. The key is consistency and discipline.” This book is an essential read for any investor.